I admire the dramatic view of sun subtly setting behind the clouds . Sailboats released in the wind, an ocean cruising ship and a few fishing boats cast long shadows on the wrinkled surface of the river. In the foreground there is the monument Padrão dos Descobrimentos representing silhouettes of the renowned Portuguese in fifteenth and sixteenth centuries, the era of great discoveries. The location of the monument is not accidental. 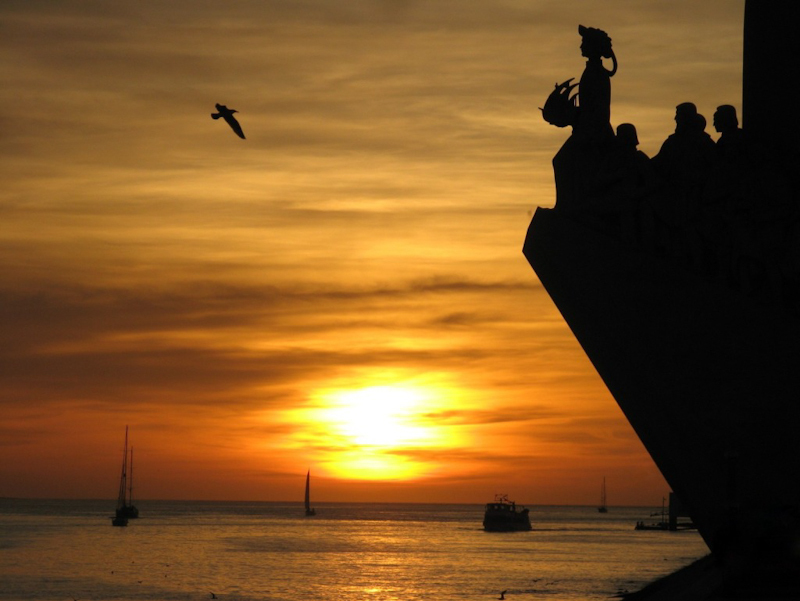 Port of Belém is a place where many ships set out on a virgin and romantic travels. Here the journeys began for Vasco da Gamma, the explorer to discover sea route to India, Ferdinand Magellan, the first man to circumnavigate the world; Pedro Álvares Cabral, the discoverer of Brazil, Bartolomeu Dias, a man who sailed around the Cape of Good Hope and many other sailors, explorers and scientists , a total of 33 personalities that have played an important role in the history of Portugal. The bridge of April the 25th serves as the Lisbon’s gateway. An impressive suspension part of the bridge is 2280 meters long. This guarantees the second place for the bridge takes in this category in Europe. I use my longboard to visit Belém and Bom Sucesso waterfront along the river Tejo. Having arrived at the tower Torre de Belém I enjoy perfectly smooth surface with a colorful mosaic, which causes longboard wheels to emit a pleasing, swishing sound. 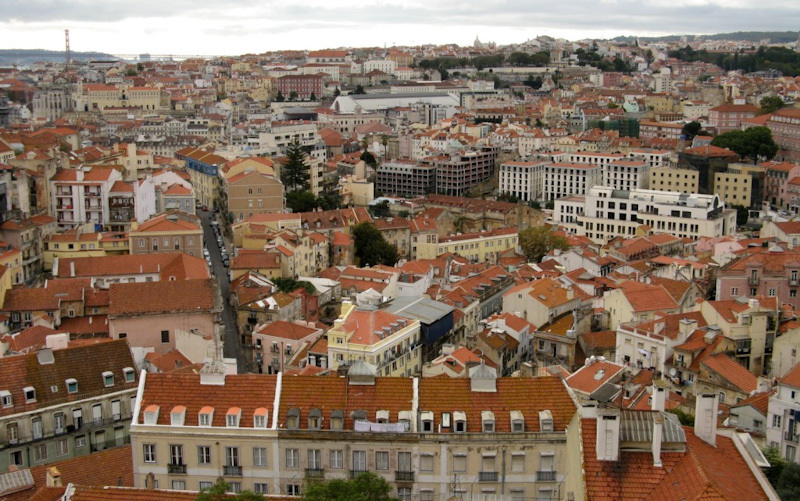 The historical part of Lisbon is nested in a crowded maze of narrow streets. It is worth to mention that the orientation in the city by the names of the streets is doomed to fail, because the names change every eight steps you take. Only the course you have is important. 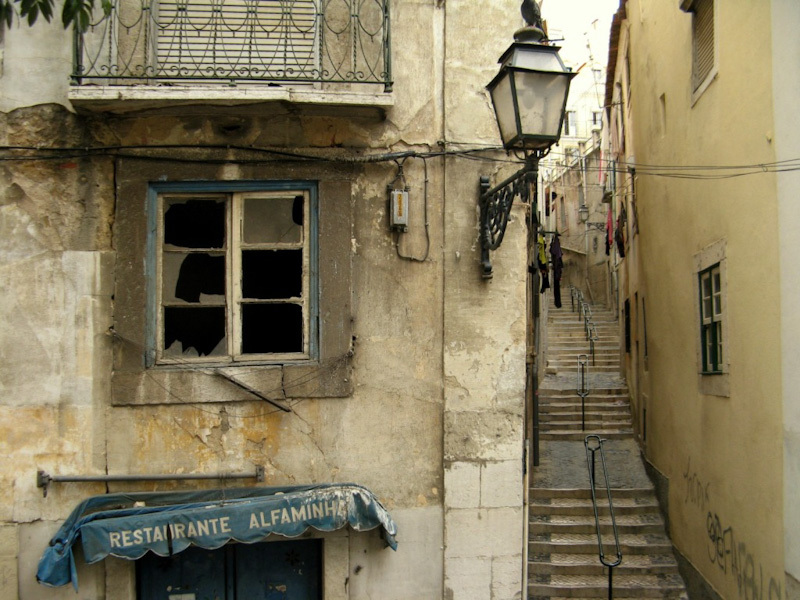 Lisbon is a neglected city and thus has its own charm, which comes from freshly washed clothes hung on strings outside windows and arm’s length wide winding passageways. The streets with windows without glass, scraped facades and wall tiles missing is a common thing to see. As a response for the limited space available, some houses have living room doors leading straight out onto a busy street. City Life takes place in pubs and pastelarias. Pastelaria a premise being a cross between a cake shop and a café. These places are ubiquitous and each one has its specific atmosphere limited only by the creativity of the owner. In such a twisted, narrow and crowded city, on the contrary, the public transportation works well. 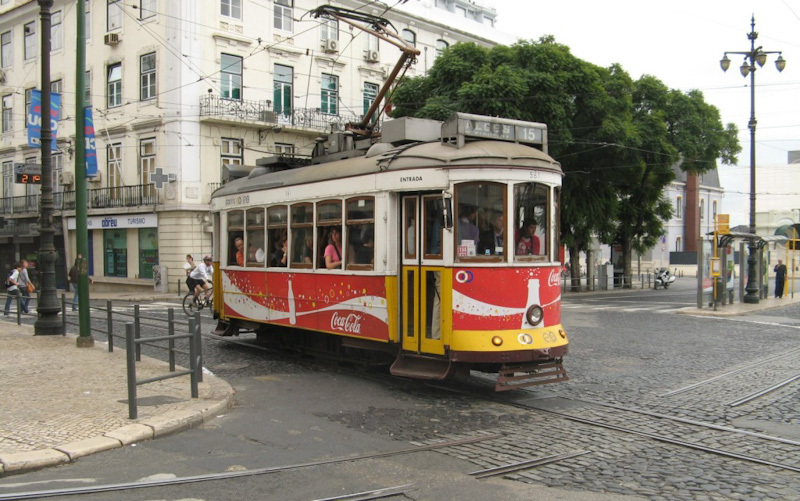 Many decades-old tiny trams are a showcase of the Portuguese capital. Walking around Lisbon at every turn we would see shapely yellow wagons climbing up and down the steep streets. In Portugal there is no work culture. The relative backwardation of the country is linked with the benefits only. Residents are relaxed, cheerful and smiling, far from being stressed or wasting the most precious asset, the time. We need to learn that at a local restaurant we can eat only at certain hours. Cook, after all, also deserves his siesta. At the vantage point Miradouro do Luzia a concert begins. The street musicians play drums, percussion and electric guitar with no soundboard. 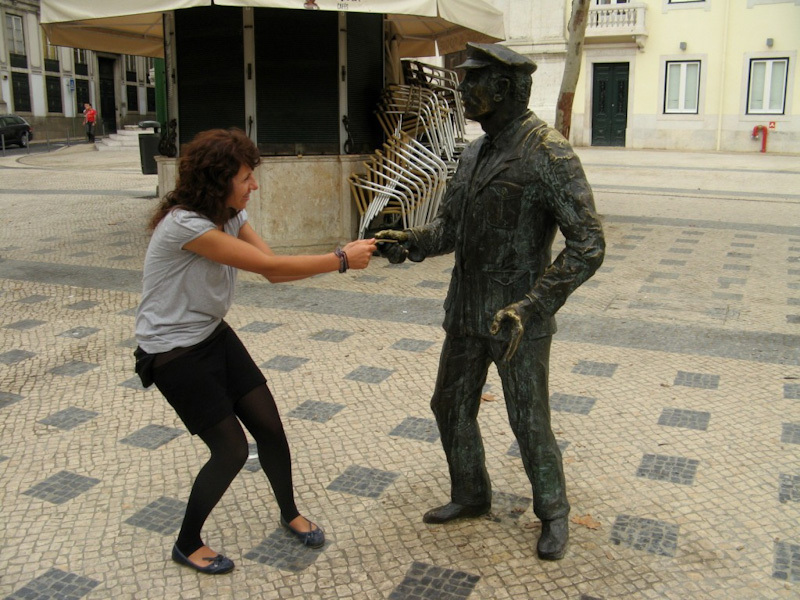 Walking around Lisbon takes energy, patience and effort. Steep streets going up and down at times lead to your destination, but more often to dead ends. A few droplets fall from the cloudy sky, a little drizzle starts, which gradually turns into an uncontrollable downpour. Weather in November tends to be capricious. Luckily around the corner there is pastelaria, where they serve Galão.